SELECT id_article, id_category, title, subtitle, body, image, link, publish_date FROM px_Article WHERE id_category="4" AND id_article="537"
Slavica Karna and her son Dragan, refugees from Knin, received today a package of building material for internal and external adaptation of their house in Banatsko Novo Selo. This marked the delivery of building materials to a total of 221 refugee families from Croatia and Bosnia and Herzegovina within the subproject 7 of the Regional Housing Programme (RHP). The allocated package consists of materials for the installation of facades, replacement of floors, interior and exterior joinery, replacement of water supply and electrical installations, adaptation of a complete bathroom with the installation of new sanitary elements, etc. 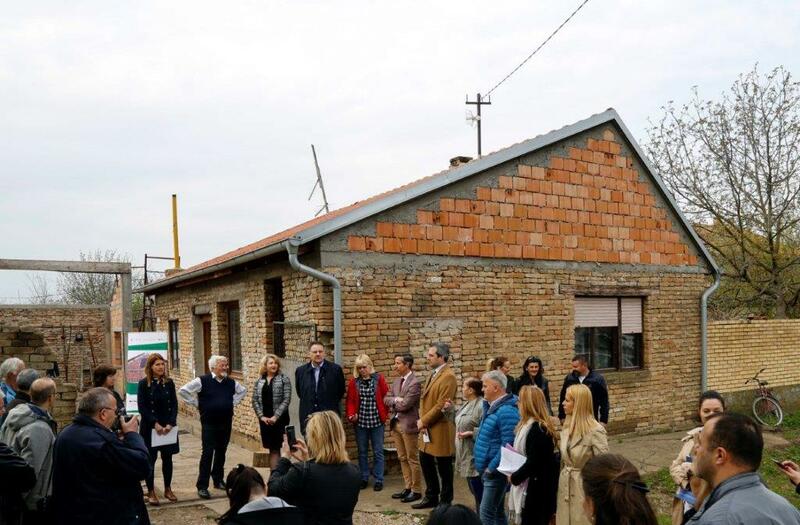 Through RHP in Serbia, 1 075 village houses have been purchased for refugees, 301 apartments and 266 prefabricated houses have been built and 1 456 packages of building material for reconstruction and adaptation of houses have been delivered. By granting assistance to the Karna family today, more than 3 000 permanent housing solutions have been delivered. By the end of the Program, more than 7 000 refugee families from Bosnia and Herzegovina and Croatia will have their housing issue resolved. Slavica Karna, 54, with her two-year-old son and her husband fled Croatia during the Operation Storm in 1995. They found refuge in Banatsko Novo Selo, where they have settled ever since coming to Serbia. Slavica’s husband passed away in 2003. The family moved nine times until they managed to purchase a modest house in the village in 2007, which will be turned into a comfortable home with the RHP building material package. "We are happy to finally solve one of the most important life issues with the help of this package of building material. We thank donors and all those who are part of the Regional Housing Programme for their support. We are starting with the works this weekend, "said Slavica Karna. The beginning of the delivery was attended by the Mayor of Pancevo, Sasa Pavlov, Commissioner for Refugees and Migration of the Republic of Serbia Vladimir Cucić, representatives of the donors, the OSCE Mission in Serbia, the UNHCR Representations in Serbia, the Project Implementation Unit in Public Sector and partner countries. Commissioner Cucić emphasized the excellent cooperation with the city administration in Pancevo in the RHP implementation as well as with partner countries whose representatives today visited the Karna family in Banatsko Novo Selo. The Mayor of Pancevo expressed his satisfaction with the number of representatives of the Commissariat, donors, partner countries and international organizations which gave additional significance to RHP and the beneficiary family.